Chiropractor Fort Pierce and Vero Beach, FL. Back Pain Relief System Lights and Bells are sounds we are conditioned to respond to quickly when there is a crisis. Our body’s warning system, pain, is unfortunately the most often ignored alarm. Pain of any kind is a warning signal from your body that something is wrong. People often prefer to silence their warning system with pain killers and ignore the message their body is desperately trying to communicate to them until the point of major crisis or total loss. Back pain is one such pain that is very commonly ignored or masked until it depletes the quality of life to an unbearable state. The facet joints at the back edge of each spinal bone are rich with pain receptors and are a common cause of back pain. The pain can be a sign these interlocking joints have lost their normal mobility. The discs between spinal bones can also be involved. Simple traumas like a slip or fall or over stretching while lifting can cause the soft, gel like material in the middle to shift and cause pressure on nearby nerves. Ignore it: Spinal problems when ignored tend to worsen over time. Bed rest: May offer short term relief but as with “ignoring it” this option delays addressing the problem. Therapy: Again this may offer short term relief but if malfunctioning joints are present it is again just “ignoring it”. Medicine: Numbs the pain offering relief but there are no medications that will correct the joint dysfunction. Surgery: Certain types of back pain may require surgery but these are rare and even in these cases surgery is recommended as the last resort and only when conservative treatment options are unable to help. Chiropractic treatment may improve spinal position and mobility. By restoring the way your spine works the joints, discs and soft tissues begin to repair, nerve pressure can be reduced, pain diminishes and stability returns. Chiropractors or spine specialists also have incorporated many useful tools, inclusive of spinal decompression, to help not only restore mobility and alignment but help expedite the regenerative process of the spinal discs. I have a “little” back pain every day – is that normal? Pain of any kind is a warning sign that something is wrong. Pain is your body’s way of telling you that a physical limitation has been reached or a problem has developed. Because our body has a tremendous capacity for adapting, minor aches and pains are often ignored. While the pain may stop, if the underlying problem (the reason for the pain) is not addressed, the problem may worsen until it becomes more difficult and expensive to resolve. What about taking muscle relaxers? Of course chiropractors don’t dispense medications. Ocean Chiropractic and Health Center uses natural drug-free methods to help our patients. There are many stress relieving activities that can provide muscle relaxation: improved hydration, deep breathing exercises, and positive mental visualization can significantly help patients that are struggling to recover because of muscle tension. Additionally, for acute pain or pain related to treatment (muscular soreness similar to that experienced from starting a new exercise) properly applied ice has an analgesic effect and when used regularly can help to improve the circulation to areas suffering from degeneration. Most importantly you get the benefit of these methods without the unwanted effects associated with many medications. How does Chiropractic work? A chiropractic adjustment can aide in your body in self-healing, self-regulating and controlled by your nervous system. Millions of instructions are communicated between your brain and your body, up and down the spinal cord, and over the peripheral nerves to every organ and tissue. The messages sent back to the brain confirm if the body is working correctly or tell the brain there is an emergency (pain). Improper movement and/or position of the bones of the spine can negatively impact this vital exchange of information between the brain and body by irritating or compressing nerves and thereby diminishing the function and coordination of affected organs and tissues. Chiropractic treatments are designed to improve this brain body communication cycle. By improving nervous system communication the body repair process improves and the warning system (pain) can return to its normal resting state. Does insurance cover Chiropractic care? Just ask us if your insurance covers chiropractic! If you sincerely want your health back, in most cases we can help and we will do our best to make chiropractic care affordable for just about anyone. Our office would like to be part of your future healthcare solution. We will address not only the areas that are affected by pain but find the root cause to help restore function and help your body obtain better long lasting health and strength naturally. Did you know that most health insurance covers chiropractic, massage therapy and physical therapy? Dr. Bradley Deiner, D.C. and Dr. Jennifer Carter, D.C. and the staff at Ocean Chiropractic and Health Center have a genuine concern for your well-being and health! Call us today and we can schedule a consultation for your chiropractic and weight loss needs. Most insurance are accepted. If you are new to our website, please take a moment to educate yourself about our practice and to discover the wonders of chiropractic care and wellness. Ocean Chiropractic and Health Center wants to help you begin the journey of wellness together! Now serving Vero Beach. Read Understanding and Recovering from Chronic Shoulder Pain by Dr. Bradley Deiner to learn more about Ocean Chiropractic & Health Center and our Chiropractic office in Fort Pierce, FL. We look forward to serving you! Call – 772-460-9000. Mechanical stress over the years of our life is often considered as a primary contributor to the deterioration of joints, ligaments, and tendons. Commonly known as arthritis or osteoarthritis it primarily affects the larger joints of the body such as the hips, knees and the lumbar spine. The shoulder is also prone to undergoing arthritic change primarily due to its level of mobility. The tradeoff of having tremendous mobility in the shoulder under normal circumstances is a joint with inherent instability. This leaves us prone to mild injuries because in the shoulder we sacrifice stability for mobility. With each subsequent mild injury to the shoulder joint our body adds more and more scar tissue in an effort to stabilize the shoulder and over time this can lead to a more serious chronic pain syndrome. What’s Involved in Chronic Shoulder Problems? Chronic pain of the shoulder typically involves a small group of shoulder stabilizing muscles known collectively as the rotator cuff. The four rotator cuff muscles attach themselves between the scapula (shoulder blade) at the back and from under the chest muscles at the front out to the tip of the shoulder. The names of the rotator cuff muscles are the supraspinatus, infraspinatus, subscapularis, and teres minor. As the rotator cuff muscles attach to the head of the humorous (arm bone) they form a broad tendonous sheath which is designed to support and strengthen the shoulder joint. However, the shoulder’s inherent mobility causes the soft tissues of the rotator cuff to undergo repetitive stress and strain. Each repetitive mild injury to the shoulder joint cause the body to infiltrate these soft connective tissue with more dense fibrous tissue (scar tissue) in an attempt to further stabilize the joint. As more and more scar tissue accumulates in the shoulder joint this can lead to adhesive capsulitis also known as frozen shoulder. This is the result of degenerative changes affecting the bursa (small bag of water which lubricates the shoulder joint) which can cause it to become inflamed (bursitis) with normal movement, leading to the two prominent symptoms of pain and restricted range of motion. What are the Traditional Treatments for Chronic Shoulder Pain? There is an orthopedic sub-specialty which focuses on treatment of chronic shoulder pain. Their primary treatment methodologies include long-term use of anti-inflammatory medication, corticosteroid injections if the medications don’t provide relief, and often times surgery to repair tears in the various rotator cuff tendons. Secondary surgeries known as “revision” surgery is commonly performed if the initial surgery is unsuccessful. Can Chronic Shoulder Pain be Treated without Drugs and Surgery? There is good news. In many cases, a more natural approach is possible, which focuses on utilizes the body’s natural recuperative ability. For many, chronic shoulder pain can be reduced and mobility can be improved through rehabilitative exercises and other activities. The objective of rehabilitative exercises is to increase the range of motion and flexibility while improving shoulder strength. The most frequent result is a reduction in the intensity and frequency of shoulder pain. Chronic injuries almost always require a long-term approach to treatment. It’s important to remember that the problem developed over time and will not be fixed in a matter of days or weeks. Progress can often happen in the short term where the pain can even disappear at times. However, consistent results in alleviating chronic shoulder pain requires an ongoing treatment plan. Adding the rehabilitative activities as part of your daily routine is critically important. Chiropractic care can be of great benefit in getting the most from your exercise program. Regular chiropractic care improves mobility in your spine and reduces nerve irritation which may cause tight, inflamed muscles. The result is a body that is optimized for good health and full function. By enabling maximum spinal mobility and maximum function of your nerves, regular chiropractic care helps maximize your body’s ability to recover from pain and chronic injuries. What Else Can I do to Speed My Recovery? Adding an overall strength training program to your lifestyle is an important approach to managing chronic shoulder pain. Strength training should be done gradually but progressively, starting with light weights and low repetitions and building up repetitions over time before adding more weights. There are many exercises which can benefit the shoulder: seated press (dumbbell or barbell), lateral raises (dumbbell or cable), rows (seated or bent over), and internal and external rotation exercises done with light dumbbells on a flat bench. If you have had an acute shoulder injury you should start with simple rehabilitation exercises before preceding to rehabilitative strength training. Early rehabilitation includes pendulum exercises and finger-walking up a wall in both forward-facing and side positions. Chiropractors are trained in injury rehabilitation and can help design an effective flexibility and strengthening program for improving shoulder function. If you are currently suffering from an acute or chronic shoulder injury give our office a call today to find out how we can help. Some individuals are seeking an alternative to traditional medicine. Alternative medicine can sometimes help people achieve and maintain optimal health. Take a moment to learn about us! Introduce yourself to chiropractors Dr. Bradley Deiner, DC and Dr. Jennifer Carter, D.C. and the welcoming team that are dedicated to assisting you achieve your wellness objectives. As a patient at Ocean Chiropractic and Health Center at locations in both Fort Pierce and Vero Beach, we will personally customize a program specifically targeted to your chiropractic and wellness needs. Read Traveling Advice to Protect Your Spine by Dr. Bradley Deiner to learn more about Ocean Chiropractic & Health Center and our Chiropractic office in Fort Pierce, FL. Use the following to help fight the pains and strains of travel before they occur. Car seats should always be placed in the back seat of the car-ideally in the center. This is especially important in cars equipped with air bags. If an airbag becomes deployed, the force could seriously injure or kill a child or infant placed in the front seat. If you follow these simple tips, you can enjoy pain-free, safe travel. If you do experience pain and stress on your back, doctors of chiropractic are trained and licensed to diagnose and treat problems of the spine and nervous system. Read Start Strong Stay Strong! by Dr. Bradley Deiner to learn more about Ocean Chiropractic & Health Center and our Chiropractic office in Fort Pierce, FL. Children and Chiropractic Fort Pierce FLYour children, grandchildren, nieces, nephews, etc., are a true gift. We are first taught just how precious this gift is when our children are born. Sunshine is in a child’s smile and we can think of nothing more beautiful or precious. So often there is a disconnection when we talk about how important it is that your children are well adjusted. The truth is, most people give us a funny look when we share how important it is that children are well adjusted. In actuality, there is not another more important group than our children that need a proper nerve supply. Your children’s brains and bodies are developing at an amazing rate on a daily basis. Experts estimate that the average child falls close to 2000 times by the time they are 3 years old. All it takes is one tiny shift in the spine to block that precious nerve supply. This blockage can have detrimental effects on a child’s health, development, and wellbeing. Regular Chiropractic adjustments ensure that nerve supply is REPLENISHED to your child’s developing body each day. Best of all Chiropractic is safe, gentle, effective and DRUG-FREE! 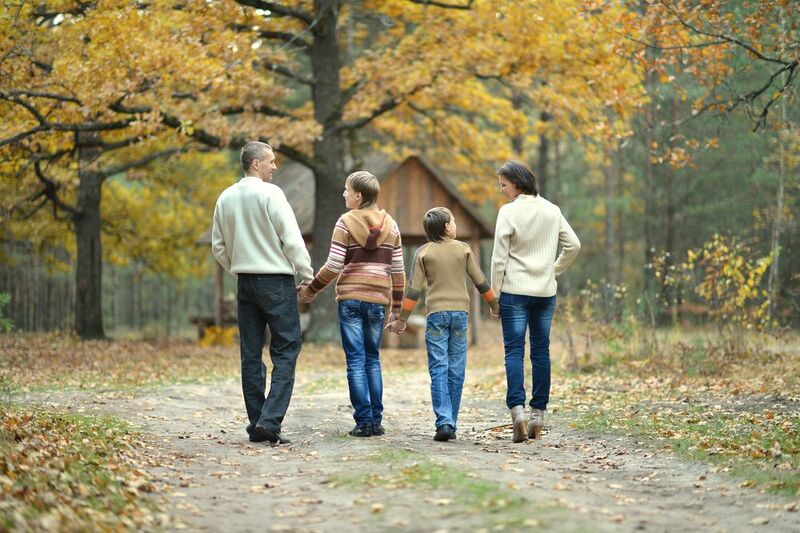 Our Team wants to help your families grow strong and healthy right from the start. Call us today and schedule their first Spinal Checkup! Let us help you begin their journey to Optimal Health! 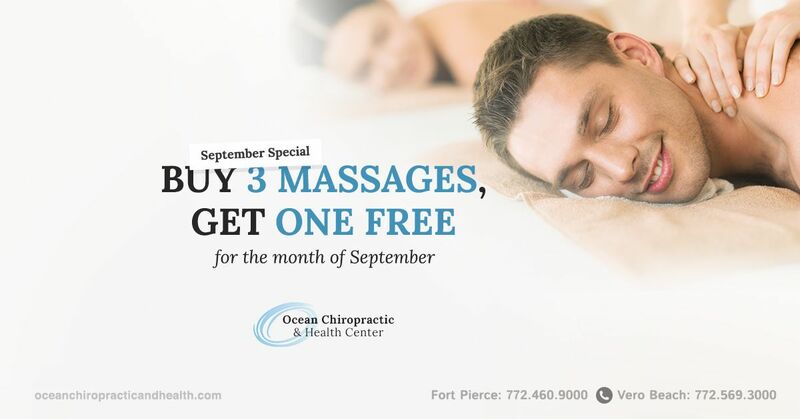 Learn more about Ocean Chiropractic & Health Center and our Chiropractic office in Fort Pierce and Vero Beach, FL. Get fit the old-fashioned way! While some fitness enthusiasts relentlessly seek out the latest, trendiest exercise crazes, many others are returning to good, old-fashioned walking to help them feel great and get into shape. Whether enjoying the wonder of nature or simply the company of a friend, walking can be a healthy, invigorating experience. And thanks to its convenience and simplicity, walking just might be right for you, too. The first item of business when beginning your walking program is to select the right pair of shoes. Too many people choose fashion over function when purchasing running shoes, not realizing that poor-fitting shoes can do more than hurt their stride; they can also lead to pain throughout the body. Make sure the shoes you purchase fit properly. The balls of your feet should rest exactly at the point where the toe end of the shoe bends during walking. Select shoes with plenty of cushioning in the soles to absorb the impact. Shop for sneakers at the end of the day, or after a workout when your feet are generally at their largest. Wear the type of socks you usually wear during exercise. When trying on shoes, be sure to wear them for at least 10 minutes at the store.Once you have purchased a pair of shoes, don’t walk them into the ground. While estimates vary as to when is the best time to replace old shoes, most experts agree that between 300 and 500 miles are optimal. The benefits of walking just 12 minutes every other day can offer overall improved health. But in order to increase your longevity, try to eventually work up to 30 minutes, five days per week. Active adults should try to take 10,000 steps each day. Wearing a pedometer is an easy way to track your progress. Do not look down as you walk. This will challenge the normal forward curve of your neck, which, in turn, will cause you to carry your weight improperly. Walking on a cushioned or rubberized track is ideal because the cushioning of this type of track absorbs most of the impact of your walking. Many recreation centers offer this type of track free of charge. Grass is another good surface, but watch out for hidden dips or holes in the ground. Walking on a surface with no give, such as concrete or a mall floor, is not your best choice because this type of surface will not absorb much of the impact your body will experience. If you do choose to walk on such a surface, be extra careful to select highly cushioned shoes. While you may experience pain or injury in a particular area, such as a knee or a hip, the root of the problem may lie somewhere else. Injuries of this nature are not regional, or isolated, but systemic. A problem in the foot or ankle can create an imbalance in every step, leading to discomfort or injury that moves to the knees, hips, low back, or elsewhere. If you suffer from pain beyond typical muscle soreness, your chiropractor may be able to diagnose and treat your pain or injury and get you back into the swing of your walking routine. Your doctor of chiropractic can also help customize a wellness program that is right for you and has the expertise to help keep you in the mainstream of life. Did you know that most health insurance covers chiropractic, massage therapy, and physical therapy? Dr. Bradley Deiner, DC and Dr. Jennifer Carter, D.C. and the staff at Ocean Chiropractic and Health Center have a genuine concern for your well-being and health! Call us today and we can schedule a consultation for your chiropractic and weight loss needs. Most insurance are accepted. If you are new to our website, please take a moment to educate yourself about our practice and to discover the wonders of chiropractic care and wellness. Ocean Chiropractic and Health Center wants to help you begin the journey of wellness together! Now serving Vero Beach. Read Commit to Better Health by Dr. Bradley Deiner to learn more about Ocean Chiropractic & Health Center and our Chiropractic office in Fort Pierce, FL. Weight Loss Fort Pierce FL Let’s Spring into Health! Do you want to lose that stubborn weight? Did you promise yourself that this year you would get into shape? Do you want to feel young again and enjoy your health and life? It can happen. But, it is up to you to make a change. Do something different. It comes down to 3 things: The ABC’s of Health. ATTITUDE – It must change. Without an attitude change NOTHING will happen. Why? Because you haven’t accepted that you need to change. You want to change – But it is not painful enough for you to make an effort to move forward. Change your Attitude and your life will begin moving in a better direction. BEHAVIOR. The attitude change will set you on a path to change your behavior. Your daily decisions. What you eat, how much, if you exercise or sit around watching TV. CHIROPRACTIC. Chiropractic care is not only about Pain – it is about better Health. Improving your immune system, Internal strength, moving and feeling better, and avoiding medication. Don’t let another month and especially another year go by without making a change. How would this make you feel? Then why wait?? Act on this now. We have had thousands of people restoring and recapturing their health with renewed energy You could Feel better, Look better, and be ready for SUMMER! Our expert team has been created to help you achieve all of your health goals with amazing care techniques and fabulous facilities. Call our office to today to schedule a Spinal Health Checkup Today and Spring into Health! Read Help is Near for Chronic Low Back Pain by Dr. Bradley Deiner to learn more about Ocean Chiropractic & Health Center and our Chiropractic office in Fort Pierce, FL. Back Pain Fort Pierce FLOur lifestyles over the last thirty years have given way to a leading cause of debilitation. Unfortunately, low back pain has become so extremely common that it is affecting sixty to ninety percent of the adult population. The vast majority also suffer from some degree of lumbar arthritis as a primary or contributing factor to their back pain. Lumbar spine arthritis is a degenerative condition that develops over time in response to the normal demands that are placed on the lumbar vertebrae. It can be symptomatic to varying degrees from mild to severe and is often contributing factor to disability. The spine is composed of twenty-four moving segments known as vertebrae. The vertebrae are further classified with seven cervical or neck, twelve thoracic or mid-back, and five lumbar or lower back vertebrae. The spinal vertebrae are separated by intervertebral discs, which are composed of an outer ligamentous layer called the annulus fibrosis and a central gelatinous layer called the nucleus pulposis. The collagen fibers of the annulus fibrosis anchor the disc to the vertebrae. This allows for movement between vertebrae and dispersion of weight-bearing forces from one vertebra to the others below it in the spine. The intervertebral discs often times lose their elasticity and hydration with age or as the result of an injury. This loss of elasticity decreases the ability of a disc to handle the weight that it must bear. The discs become shorter which changes the position of the vertebrae and their associated connecting fibers in relation to the rest of the spine. Over time, a situation develops whereby bone lays directly on bone, causing pain and decreased ranges of motion. Ultimately, this pattern of degeneration may result in micro-fractures and additional cartilage damage. Although the body attempts to replace that which is lost, it is often insufficient to overcome the degenerative process. As bone surface erodes, mechanical stress on the joints increase. The body’s response to this stress is the formation of new bony outgrowths called osteophytes. This process is seen often in the facet joints and end plates of the lumbar spine. If combined with compression and bulging of intervertebral discs and hypertrophy of spinal ligaments the size of the spinal canal might decrease creating a condition known as spinal stenosis. With the development of spinal stenosis, comes the risk that the spinal cord and its exiting nerves being compressed. Classic symptoms of any form of arthritis include joint pain, swelling, and stiffness. Patients with lumbar arthritis often have low back or pelvic pain. They tend to have difficulty with mobility secondary to postural changes and decreased flexibility. As with most forms of osteoarthritis, pain and stiffness are most pronounced in the morning. As movement increases over the course of the day, symptoms tend to subside. In general, if there is no evidence of nerve root compromise, pain from an arthritic spine is localized to the low back with possible dull aching referred pain in the buttocks. Patients with degenerative changes resulting in spinal stenosis may experience numbness, tingling, or weakness in the legs due to irritation of the lumbar nerve roots. How is Lumbar Spine Arthritis Diagnosed? A chiropractic physician is able to make the diagnosis of lumbar arthritis when the constellation of symptoms and physical exam are consistent with degenerative changes in the spine. A description of back pain for a long period of time that increases with mechanical stress may alert your doctor to the presence of lumbar arthritis. Therefore, it is important to provide your physician with detailed information about your back pain including timing, severity, and exacerbating or alleviating factors. The physical exam will focus on the range of motion within your spine, muscle strength, and reflexes within your legs. Patients with lumbar arthritis will notice pain when bending backwards because this places maximal pressure on the osteoarthritic facet joints. Likewise, patients may find that the pain decreases when bending forward because this relieves joint pressure. An X-ray will likely be ordered to look at the bones that make up the lumbar spine. Specifically, your chiropractic physician will look for new bone growth (osteophyte formation) and narrowing of the intervertebral disk space. A CT (computed topography) scan, a study more detailed than an X-ray, may be ordered to visualize more specific areas of your spine. MRI (magnetic resonance imaging) scans utilize magnetic rays to visualize soft tissue. An MRI may be helpful because it allows your chiropractic physician to better visualize the facet joints and surrounding soft tissues. What Options of Treatment Are Available for Lumbar Arthritis? Lumbar arthritis is usually responsive to conservative management. During an acute attack of low back pain, relative rest that avoids activities that aggravate the symptoms may reduce inflammation. For long-term relief, lifestyle modification must be undertaken. Weight loss when appropriate will have a tremendous impact on back pain because it is the lumbar spine that bears the weight of the body. Exercise is also critical and can help reduce weight and increase muscle strength to support the lower back. You should consult your doctor before beginning any exercise or diet program. Your doctor may prescribe spinal decompression in combination with rehabilitative therapy. Working with a physical therapist or rehabilitative team to design a proper exercise regimen will be useful for strengthening core muscles and minimizing back pain. Our team understands that long-term back pain is not only physically debilitating but emotionally exhausting. To serve our community we have built a diverse team committed to work together harmoniously to help you or your loved one recapture the quality of life they desire – pain-free! Read Veterans Administration Gives A Salute to Chiropractic by Dr. Bradley Deiner to learn more about Ocean Chiropractic & Health Center and our Chiropractic office in Fort Pierce, FL. We look forward to serving you! Call – 772-460-9000. It’s excellent news for veterans that Chiropractic healing became part of the VHA service package in 2001 – even though it took an Act of Congress to do it. At that time, Chiropractic services were ordered into each of the 21 geographic regions of the VHA. By the year 2004, this was fully implemented. Twenty-four million living veterans and 38 million living survivors and dependents – totaling 62 million people – are now eligible for Chiropractic services through the VHA. To provide a picture of the magnitude of the service facility, the VHA operates 154 hospitals, 136 nursing home units, 43 residential rehabilitation facilities, 875 outpatient clinics, and 206 Veterans centers. The VHA staff totals over 200,000 healthcare providers with a budget of $32 billion annually. Chiropractors now play a vital role as specialty care providers to veterans in each of the 21 regions. Some DCs are full-time staff, others are contractors and some work on a part-time basis. In all cases, they work as part of an integrated team to provide enhanced care to veterans. They work on a wide variety of neuromusculoskeletal conditions after being referred by a primary care physician. As one might imagine, veteran’s health situations can be very complex. Dr. Lisi adds that this new benefit not only helps the veterans, it also improves the field of Chiropractic itself as the VA is the country’s largest trainer of medical personnel. Patients learn about the benefits of Chiropractic and can tell others, and all types of medical personnel learn from seeing their patients improve because of their Chiropractic treatment. That’s good for everyone. Read Getting the Life you Want to Live by Dr. Bradley Deiner to learn more about Ocean Chiropractic & Health Center and our Chiropractic office in Fort Pierce, FL. Throughout the ages many of the greatest minds have pondered the simple question, “What is the purpose of life?” and have come to a variety of different conclusions. In fact, most of these greatest minds agree that as human beings we will all consider this question or some variation of this question at some point within our lives. For most people, their current circumstance in life will be the primary factor which determines how the question is answered. However, from one person to the next regardless of one's life circumstance there exist a significant commonality. The common thread boils down to happiness and what produces happiness for us as an individual. So, it appears that as humans we want to get the greatest level of happiness from life that we can. Of course, what creates happiness from one person to the next can vary greatly. Whether it is having a loving partner, or success in a meaningful career, being financially sound, or simply having enough leisure time to pursue certain activities we all want it. It is so common that many would consider it to be an instinctive desire to be happy. If instinctively our greatest value is happiness then why is it that achieving happiness can so often elude us? It seems to be just one obstacle after another that is preventing us from finding our happiness. An American great, Henry Ford, once said, “Obstacles are those frightful things you see when you take your eyes off your goal.” Unfortunately, humans have another instinctive behavior that comes into play here, an obsession to fix problems. Of course, the more focused we become on the various obstacles, whether it is work stress, relationship stress, financial stress, or any other obstacle the less likely we are to achieve happiness although we convince ourselves that, “If I can just fix this problem, then I will be happy!” The reality in most cases is that exactly the opposite is true: “When you are happy, the problem is fixed!” This is literally the reason that happy people appear to have no problems and unhappy people always have multiple problems. However, one obstacle that is significantly different is physical pain and especially when the pain becomes chronic. Physical pain can overshadow our various paths to personal happiness. We can tolerate acute pain for a while in the hope that it will go away soon, but chronic pain is another matter. Chronic long-term pain not only affects the person but also the loved ones surrounding them who are trying to support them through the crisis. Most often it requires extraordinary measures to maintain a positive attitude when dealing with ongoing pain. Commonly people who are experiencing chronic pain find it difficult to imagine living their lives happily and free from pain. The Pain seems to prevail over everything. The help comes from knowing your options for your specific case. If your chronic pain involves the musculoskeletal system you may benefit from chiropractic care. There are many tools and techniques for diminishing the impact of the long-term chronic pain. For example, chiropractic care can often help with chronic headaches, chronic neck pain, and chronic low back pain. For many people, the benefit may be substantial. Chiropractic focuses on the spine and nervous system, therefore, gets to the source of many chronic musculoskeletal problems. Chiropractic care specializes in correcting the shifts in the spinal alignment which put endangering pressure onto the delicate spinal nerve tissue. This compression is the source of the irritation. The irritation or pain is just one way your body lets you know of this compression. By removing the pressure to the spinal nerve root it helps restore normal spinal mobility, which in turn helps restore better function to the nervous system. The result is often a reduction in the amount of pain a person is experiencing and a lessening of the intensity of chronic pain patterns. As pain diminishes, muscles relax, improved circulation is reestablished, and oxygen and other vital nutrients are delivered to cells and tissues that need them the most. Not only does the corrections through chiropractic care begin the process of eliminating the pain but also puts you back on your path of regaining the quality and happiness in life you deserve through overall better health. If you are ready to begin to enjoy your life again please call and make an appointment to discuss how chiropractic care can help get you back to the life you want to live. Your chiropractor is experienced in the care of many chronic conditions and will let you know whether chiropractic care is right for you. by Dr. Bradley Deiner to learn more about Ocean Chiropractic & Health Center and our Chiropractic office in Fort Pierce, FL. We look forward to serving you! Call – 772-460-9000. Neck Pain Fort Pierce FL Would it not be wonderful to turn off the pain as easy as pressing an “Off “button? Reach back and touch at the base of your neck – do you have a bump? If so, you may have found the button to your headache and neck pain. This bump is an unattractive mass of fat and muscle that your body builds over time and continues to grow, to help keep your head from pulling further and further forward. Unfortunately, these bumps will only get worse with time, unless you change the arc in your neck, called your cervical curve. If you think about the mechanics of your neck, you’ll realize it’s not surprising how easily it can be injured. It has amazing flexibility, is constantly on the move, has very little muscular support, but has to support the 14 – 16 pounds of your head. It is like balancing a bowling ball on a stick using only elastic bands in what should be a perfect 60-degree curve. Due to our tech-savvy lifestyles, a forward head posture is the now one of the most notable posture changes. This change is a huge factor in your overall health because it relates to your central nervous system, which is your body’s power supply. When you have forward head posture your spinal cord is pulled and stretched. This tension changes the shape of your spinal cord and narrows the area in which your spinal fluid travels around the quintessential spinal cord. When healthy and relaxed, your spinal cord sends signals between your brain and body at approximately 275 mph. When you have lost your curve, the speed of these signals traveling between your brain and body all day long is compromised. Over time as the signal becomes weaker, the body will begin to manifest symptoms and conditions to alert you that your body is in a state of dis-ease. Your body will continue to change and adapt with protective measures. If your forward posture is left over time it will result in the condition most often referred to as a Dowager’s Hump. Most often a forward head posture is a combination of factors that resulted from an occurrence and is left unrecognized and treated over time. For instance, an injury may be combined with poor posture most often produced from today’s tech-savvy lifestyles, spinal misalignments, and stress. Injuries: Easily the most common injury to the neck is whiplash, the sudden, violent whipping motion of the head in an accident. It is most often associated with car accidents, but it can happen when playing sport, or any other time the head suffers this particular whipping trauma. When this happens, the supporting muscles, ligaments and other connective tissues in the neck and upper back are damaged, but the full effects of this may not be felt for weeks or even months. This is why anyone who suspects they may have suffered whiplash should be extremely careful not to aggravate it, even if they feel no immediate ill-effects. An assessment should be sought from a chiropractor, in case treatment is needed to minimize the effects and guard against possible irreversible damage. Poor Posture: Poor posture is one of the most common causes of neck pain which can cause headaches. Unlike sudden injuries, which we usually know have happened, bad posture occurs over time and is something we soon begin to feel as normal. Everyday activities such as texting or working on a computer for extended periods are certainly susceptible to developing a forward head posture and spinal misalignments. Stress: Mental and emotional stress causes the muscles to tense, especially those in the back and neck. This “muscle guarding” is a primitive survival response to avoid injury in the face of danger, but it ends up causing injury when it happens for any length of time. With the increasing use of texting and smartphones this epidemic is only getting worse. Kids now routinely present with all sorts of health problems (like headaches, stomach problems, and chronic colds) related to poor posture. Heavy backpacks are not helpful here either. This used to be an adult problem but now our children are developing symptoms and conditions earlier which are affecting the health of our future generations. So press the “Off” button today on your neck and headache pain and call to schedule an appointment to “Power On” better health! Some individuals are seeking an alternative to traditional medicine. Alternative medicine can sometimes help people achieve and maintain optimal health. Take a moment to learn about us! Introduce yourself to chiropractors Dr. Bradley Deiner, DC and Dr. Jennifer Carter, D.C. and the welcoming team that are dedicated to assisting you achieve your wellness objectives. As a patient at Ocean Chiropractic and Health Center in office located in both Fort Pierce and Vero Beach, we will personally customize a wellness program specifically targeted to your chiropractic and wellness needs. Read Good Computer Ergonomics Could Help Millions of Americans by Dr. Bradley Deiner to learn more about Ocean Chiropractic & Health Center and our Chiropractic office in Fort Pierce, FL. Good computer ergonomics – our posture when we sit at our workstations – is important for children as well as for adults. According to a New York Times article, over 70% of America’s 30 million elementary school students use computers. With the IT world we live in, the 30% that don’t soon will. While this is good for the minds of these children, it can be damaging to their bodies. Doctors of chiropractic are treating more young patients who are suffering as a result of their working at ill-conceived computer stations – ill-conceived because they are designed for adults, or because they are poorly designed for children. It is a shocking thought, but many children already suffer from repetitive motion injuries (RMI), also known as repetitive strain injuries (RSI). One such injury is the problematic carpal tunnel syndrome. Chronic pain in the hands, back, neck and shoulders are other symptoms related to bad ergonomics. It is not enough to teach children how to use computers; more emphasis has to be placed on teaching them how to properly use the actual workstations. These are the formative years for an individual, mentally, emotionally and physically. Poor work habits when young can lead to serious health effects that plague that person for the rest of their life. While parents know to watch out for signs of substance abuse in their children, few have any idea of the long-term health effects that can arise from postural problems. Make sure that any workstation in the home that is shared by both adult and child can be modified according to the user. Check that the top of the computer monitor is set at a height at or below the child’s eye level. You may need to remove the monitor stand to do this, or alternatively raise the child’s sitting position in some way. Look at the workstation chair and ensure it is correct for the child. To stop slouching and for added back support, you can place an ergonomic back cushion, a pillow or a rolled-up towel in a position that corresponds with the small of the child’s back. Make sure that the gap between the front edge of the seat and the back of the knees is two inches. A good workstation chair should have arm supports that cause the elbows to rest at an angle between 70 to 135 degrees relative to the computer keyboard. Check that the wrists are held in a neutral position while typing, and not angled up or down. To ensure the child doesn’t have to hold their arm out away from their body, move the mouse mat close to the keyboard. Achieve a 90- to 120-degree angle for the child’s knees, if necessary by installing a footrest, or perhaps a box or a small stool. Ensure there is adequate lighting to reduce eyestrain, and check the monitor is not reflecting any glare. Use a special antiglare screen if necessary. Do not allow your child to sit for uninterrupted hours at the computer. Limit their time, and enforce breaks during which they can stretch and move about. Have them perform the following stretches: clench the hands into fists and move them in 10 circles inward, followed by 10 circles outward; place hands in a praying position and squeeze together for 10 seconds, then point them downward and do the same squeezing for another 10 seconds; spread the fingers apart, then close them one at a time; stand and have them wrap their arms around the body, turning all the way round to the left, then all the way round to the right. Try to have your child drink four 8-ounce glasses of water every day so their muscles and all their bodily functions are adequately hydrated. This can help avoid injury. Juices and sodas etc. are not a suitable replacement for water. Suggest to your child’s school and PTA that the children are educated on proper computer ergonomics, and encourage the installation of ergonomically correct workstations at the school. If you or your child continue to suffer from computer-related pain despite your best efforts to avoid it, your next stop should be a doctor of chiropractic to prevent the injury worsening and to promote healing.